Being Frugal gives us some Resources for Frugal Cooking – I’ve been browsing her recommendations this week looking for some good recipes! ChristianPF tells us how he budgets with ING Direct – Given their recent interest rate reduction, I’m not sure how much longer I’m going to keep my money there. They do have a great website though. Moolanomy has a great article on keeping your spouse informed about your finances – My wife and I do our finances together and do this on going. If you are married you should read his article. FinanciaDominance tells us that big cities are going to become more unaffordable – That’s why we’re moving to the country! 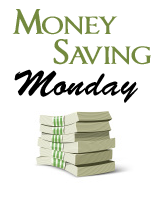 PlonkeeMoney provides some tips on selecting a savings account. 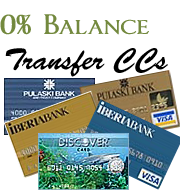 The specific examples are UK banks, but the tips apply regardless. SingleGuyMoney shares a funny, but scary phishing email – Don’t ever click on a link to any company from an email. Always visit the website directly and login that way. The Dough Roller has a series of articles that tells us how personal finance is much like playing chess. I’m a bit concerned, I’m terrible at chess…also, note to self: don’t challenge DR to a game of chess. Advanced Personal Finance shows us the Personal Finance Lifecycle – Very insightful and thought provoking article on breaking up personal finance by age and what is important when. MinTheGap tells us how times of trouble show us what we should really fear – This isn’t directly personal finance related, but the concepts apply. How many times have you made a bad financial decision fearing what others might think? This is commonly called peer pressure. Cindy from Staged 4 More wrote a guest post on Free Money Finance on how to start your own business. This is something I’ve always wanted to do, I’m just too chicken…er, risk adverse. Lazy Man And Money wrote a great article about his struggles with jealousy – First off, I’m a VP and it really means nothing except I get an extra week of vacation. Second, you aren’t alone Lazy Man, I struggle with the same thing all the time. The Digerati Life tells us about inflation – Great article, with lots of colorful and useful graphics! hehe, I won’t say a word ;-) Seriously, I think it looks really nice for $600. Thanks for the link! I hope you were able to find some good recipes! We sure did, I’ll let you know which one’s we like! Interesting site! I’ve yet to start my own blog, though my web guy keeps telling me I should. Anyway, the reason I’m writing is IÂ’d like to send you a copy of my new book,“Healing Your Financial Soul: An interactive guide to restoring your relationship with moneyÂ”. May I send you a complimentary copy? IÂ’ve taken 5 pastoral counseling and prayer ministry models and applied them directly to the area of money: our beliefs, the emotional links, sub-conscious patterns and even body language. It’s a self-counseling process to get people unhooked from self-fulfilling and sabotaging patterns so that they can follow through on what they know they Â“should doÂ”. Then their ideas and vision for Kingdom stuff (whether that’s mobilizing money to support good work or taking a vow of poverty) won’t be held hostage by financial stress or resignation. I think it would be an interesting complement to what youÂ’re doing with your blog. My website has excerpts, endorsements and readersÂ’ responses. If you’ll send me your mailing address, I’ll mail you a copy. Hi David, I sent you an email.